Our Boat is an original old mediteranean Llaut wich is improved since hundreds of years as the best boats for the mediteranean Sea. The Legend says that Cleopatra travelled in these boats to Europe and since them there are build the same way. They are not fast but save and a journey is a travel back in time. North Coast Excursion with its wild and unspoiled coastlines, piratebays, caves and snorkel bay. The norht coast is breathtaking and there is always a sea breeze to cool you down. 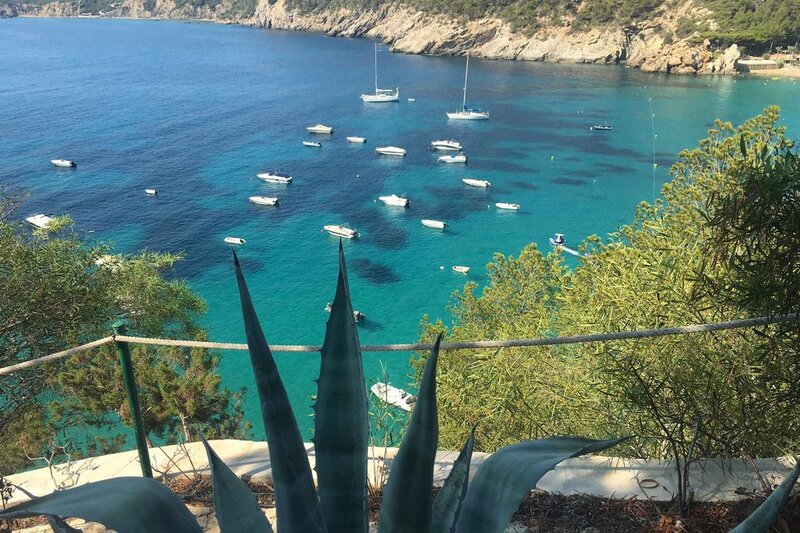 Tagomago Excursion; a beautiful island in front of Cala san Vicente with its birds and impressive walls and snorkeling in crystall clear water. We have place for max. 7 people. The trips take place 2x a day, depending on how many people there are, and will last around 3 1/2 hours. Children preferably over 12 years old.